1. Turn off your Toshiba satellite P750 P755. Disconnect the AC adapter and remove the battery. 3. Open the computer. lift upward on the keyboard from above the function keys and set the keyboard rearward to gain access to the keyboard cable which is attached to the motherboard. 4. Unlock the keyboard cable from the motherboard. To do this, simply push back the white lockdown clip approx. 1/16". Be carefull not to push the clip outward too far to where it breaks as replacing it is very difficult. 6. 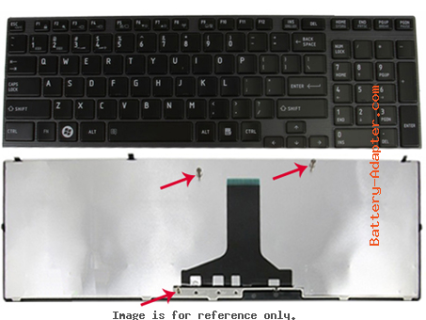 Now, you can remove the Toshiba Satellite P750 P755 Series keyboard. 1. 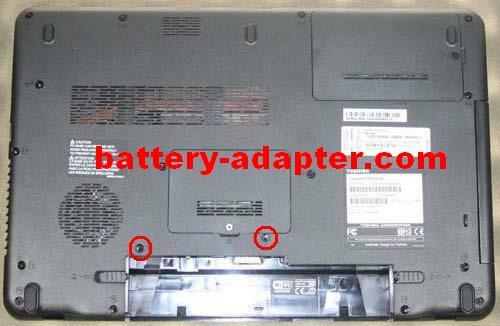 Turn off your Toshiba satellite P770 P775. Disconnect the AC adapter and remove the battery. Remove the two screws. One is securing the keyboard the other one is securing the HDD cover. 2. Remove the HDD cover . Unscrew the screw in the red round. Pull out the HDD from the bay. 3. You can find the screw under the HDD now, remove it. 4. Open the computer. lift upward on the keyboard from above the function keys and set the keyboard rearward to gain access to the keyboard cable which is attached to the motherboard. 6. 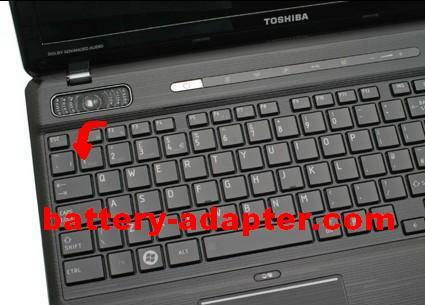 Now, you can remove the Toshiba Satellite P770 P775 Series keyboard.